Josarine.com. Copyright © 2012. All Rights Reserved. Powered by Blogger. Firstly, I would like to thank the Student Council of the Department of Communication for organizing this workshop FOC+a goody bag. As most of us know, CLINIQUE is a popular brand with quality when it comes to skin care products and make up. Unfortunately not many people can afford, especially students. 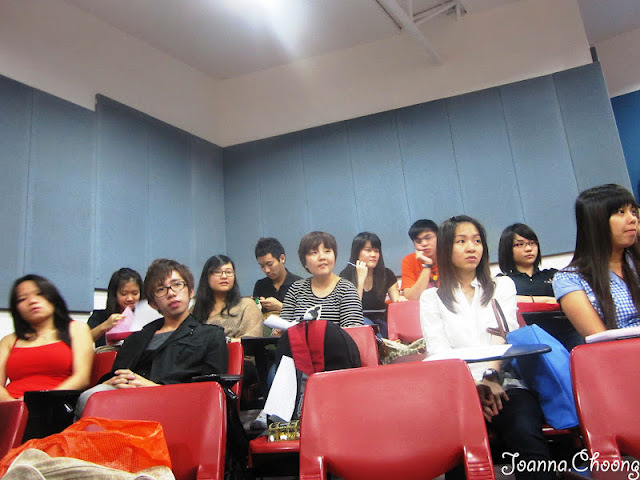 But anyhow, the Mass Comm. 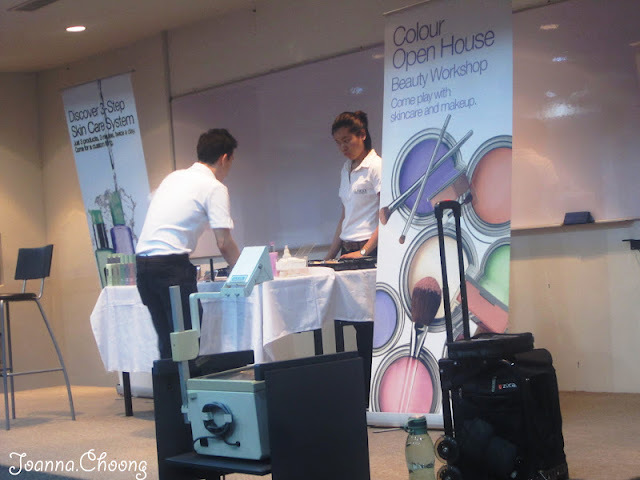 Student Council, CLINIQUE, and AVANTE Youth Marketing Agency have given us the opportunity to try the products. 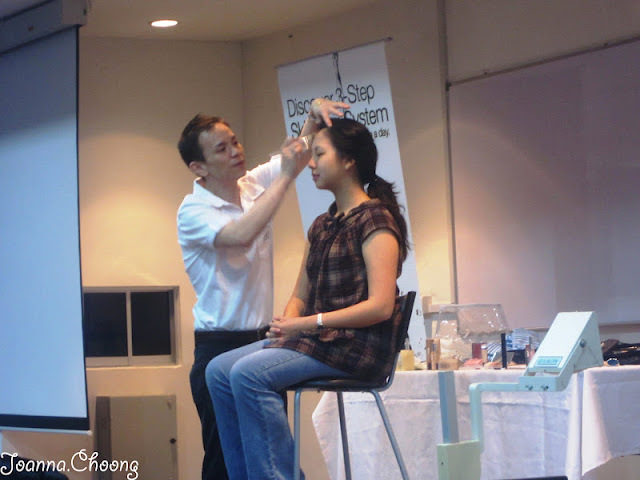 The workshop was hosted by David, though he is a guy but he sure knows a lot about skin care and cosmetics, such as how to cleanse face and apply make up the correct way. 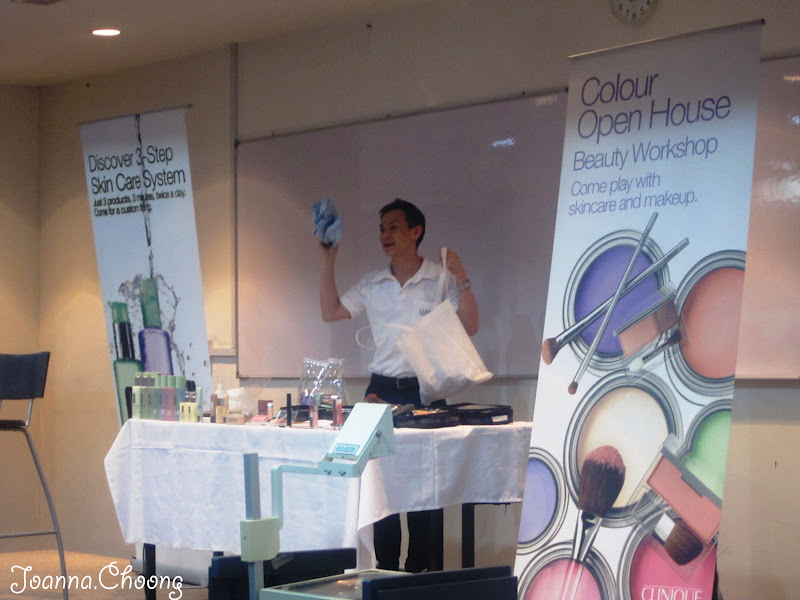 David showed us how great CLINIQUE products are by proving it to us with a volunteer. 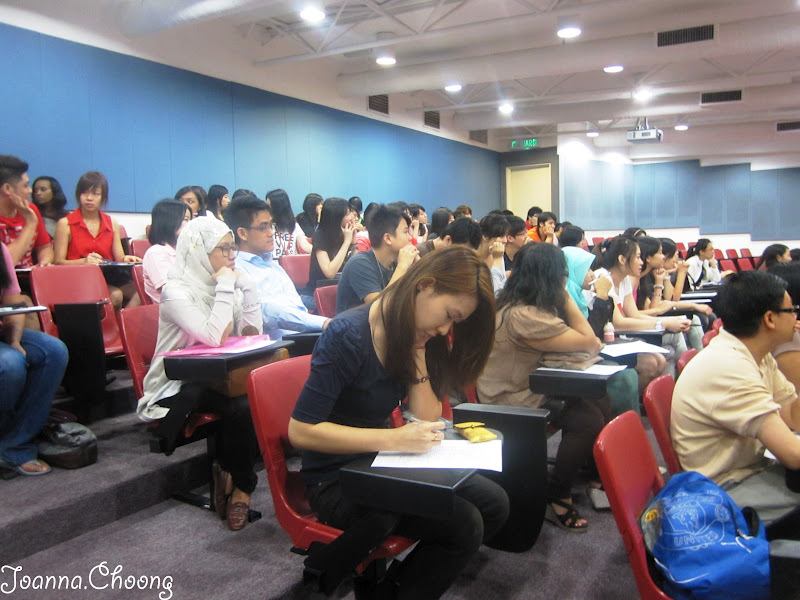 Before he begin, he asked the girl to put her hands up, face level and showed us the back of her hands. Then he proceeded with 1. Cleanser. 2. Toner. 3. Moisturizer. 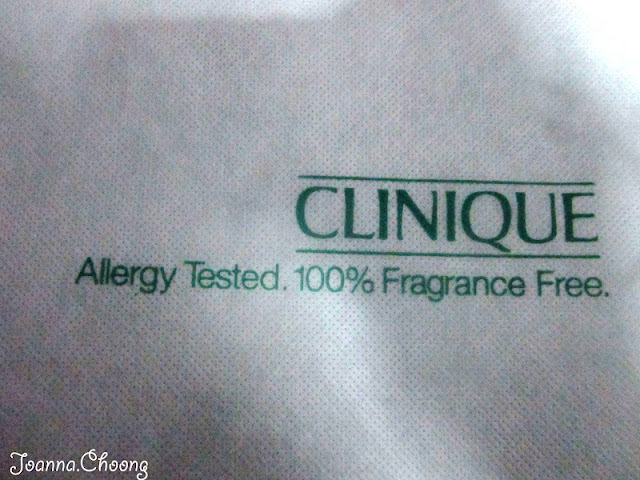 Oh yes by the way, CLINIQUE call their Toners, Clarifying Lotion, that's the question he asked when I got my prize! Hehe. So after the THREE steps, he asked the girl to show us her hands again, and yeap you could see the difference. Strangely, one of her hand looks fairer than the other. 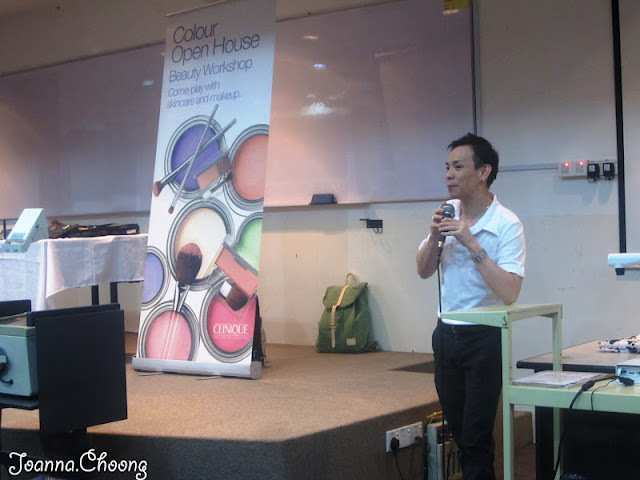 Next he showed us the proper way to apply foundation, how to choose foundation that's suitable for your skin tone, and blusher. He also enlightened me about applying eye liner. Did you know that when you apply foundation, if you use a brush you are supposed to brush from top to bottom following our facial hair growth? I didn't! I always brush here and there, around the face, in circular motion. Haha. Here's what I got for the prize and goody bag. So happen my make up bag for my handbag tore, such a great replacement. So this is what I got from the the bag, A Sun block, Moisturizer, and Face Scrub. As for the goody bag this is what I got. It's kinda strange to use such a big bag for 2 small items like these. All my friends were like "Huh? Such a big bag but only 2 of these?" 1. The proper way to apply toner - The right way is to wipe from left to right, vice versa. Not in circular motions which I normally do. Once you've wiped from left to right already, do not wipe back right to left again. 2. 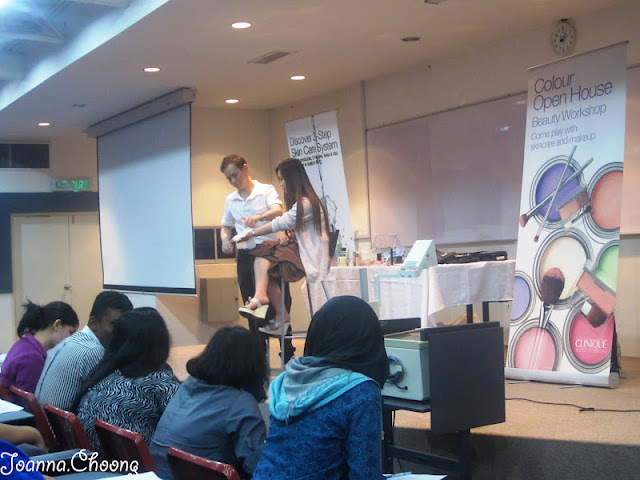 The proper way to apply foundation - I don't apply foundation actually, but I guess this applies to BB Cream or face powder. 3. How to choose a foundation suitable to your skin tone - By applying the foundation at your jaw line, because the skin colour of your jaw line is the closest to your face colour. 4. How to choose your blush - Squeeze your palm tight, and use your other hand to hold your wrist. As you release your palm and your other hand, you will notice your hand is red due to our blood flow. That's the colour you should get for your blush. 5. How to prevent your eye liner from smudging to the top? - This only applies to pencil eye liners. After you apply your pencil eye liner, use a smudge brush and gently smudge and spread them out a little. This way there won't be any smudge above your lid. Come to think of it, I have so many products to review. :p.
It's a pity you don't have a donate button! I'd most certainly donate to this brilliant blog! I guess for now i'll settle for bookmarking and adding your RSS feed to my Google account. Passionate about traveling, beauty and health, lifestyle, and events. How to vote for elections? [REVIEW] Massage at Thai Best by Reborn, SS2. How to cure Eye Stye? i-City @ Shah Alam, A Place for Family & Kids.